Contest had finished with good score !! 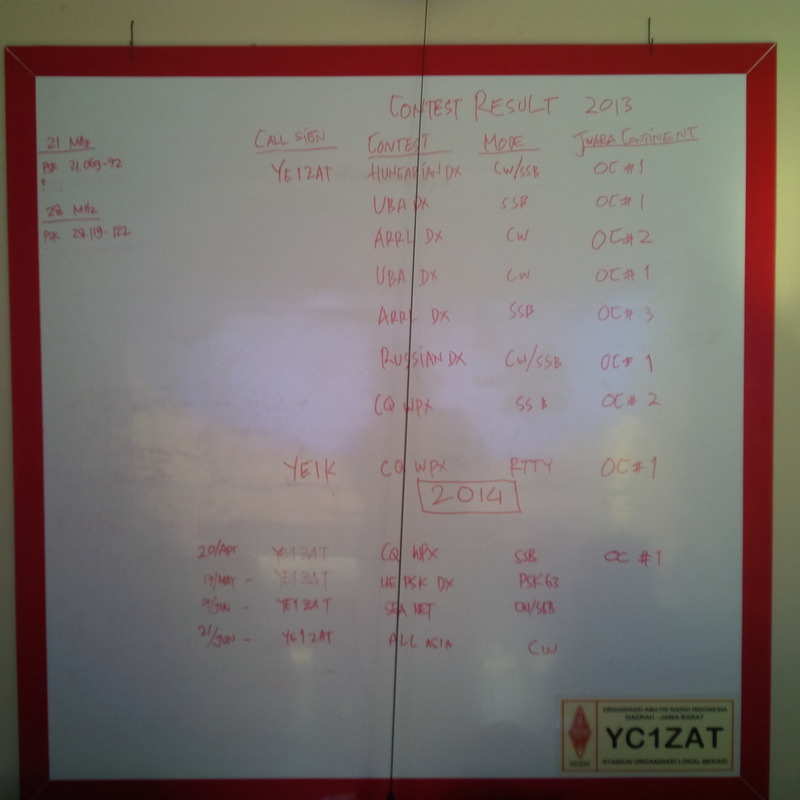 Once again congratulation of new generation of operators for YE1ZAT for the second contest in this year. Final score is 401 QSOs with point about 695.000. This time YE1ZAT is joining the contest as Multi Operator Single Transmitter with barefoot of 100 watts. 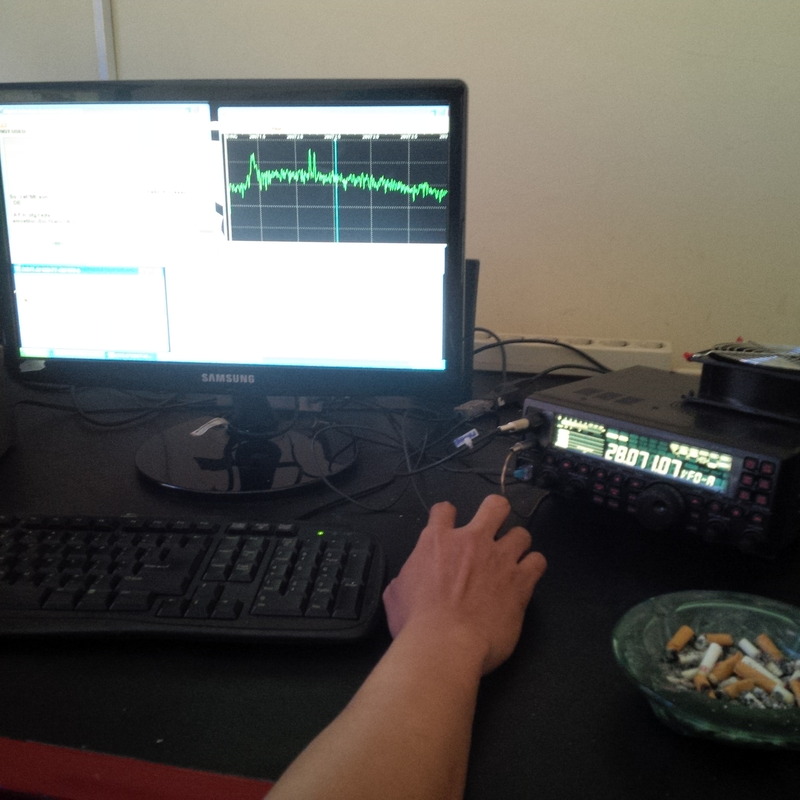 Equipment are Yaesu FT 450, Antenna TH7DX and supported by N1MM logger. 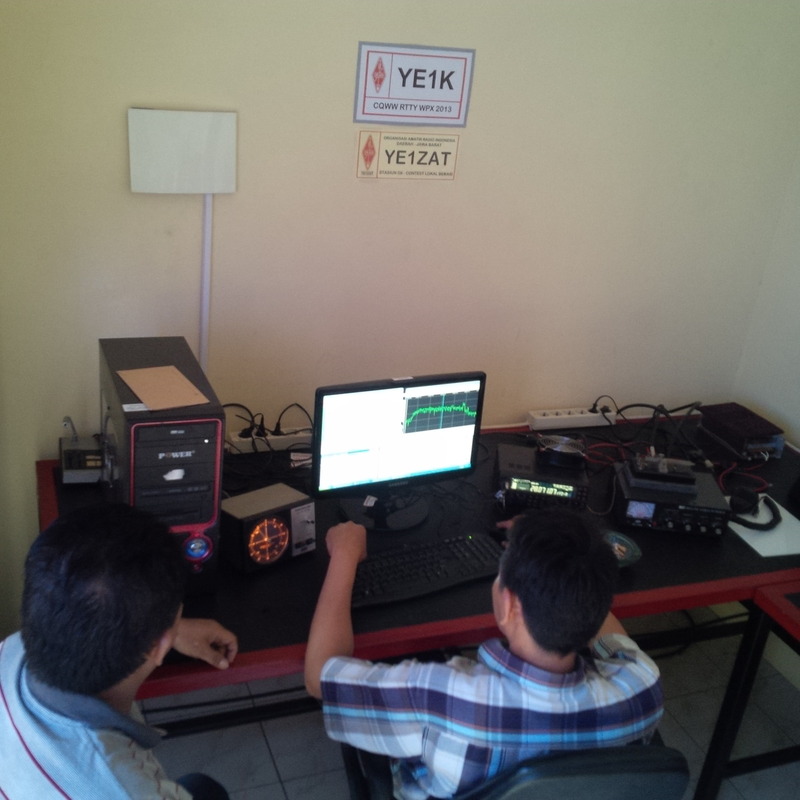 Operators are : YD1DGZ – Hendar, YD1DPM – Awi, YD1DOQ – Ida, YD1EGZ – Monang, YD1DHE – Bayu. Many thanks for all amateur radio who had been in contact with YE1ZAT and hope to meet you soon in upcoming contest. This entry was posted on May 18, 2014 at 3:41 pm and is filed under Uncategorized. You can follow any responses to this entry through the RSS 2.0 feed. You can leave a response, or trackback from your own site. Congratulation for the generation of router of YE1ZAT which have shown ability to follow world contests. Continuing the spirit of my freinds. And thank you many for OM Danu ( YD1GCL ), OM Kasmuri ( YD1MRI ) , OM Joz ( YD1JZ ) and OM Yon ( YB1CF ). We have assisting many and supporting yunior team. Hopefully glorius always on the air 73.